spicy | You Cooked What? On Thursday I was given a bag of tomatoes. They were almost too ripe. 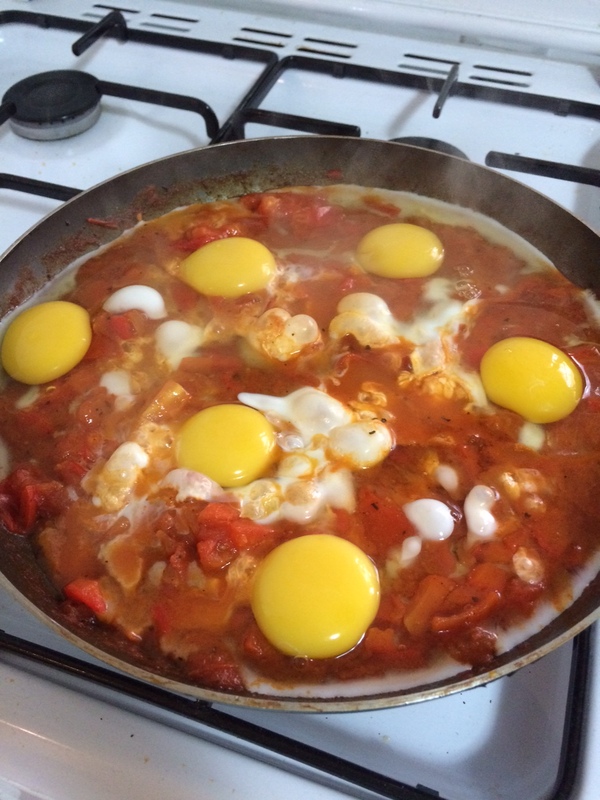 I asked online for some suggestions of what to do with them and shakshuka jumped out at me. I love shakshuka. Its one of my favourite Israeli dishes. And its an all in one pan cook and serve recipe so very little washing up! Heat the oil in a large, heavy pan. 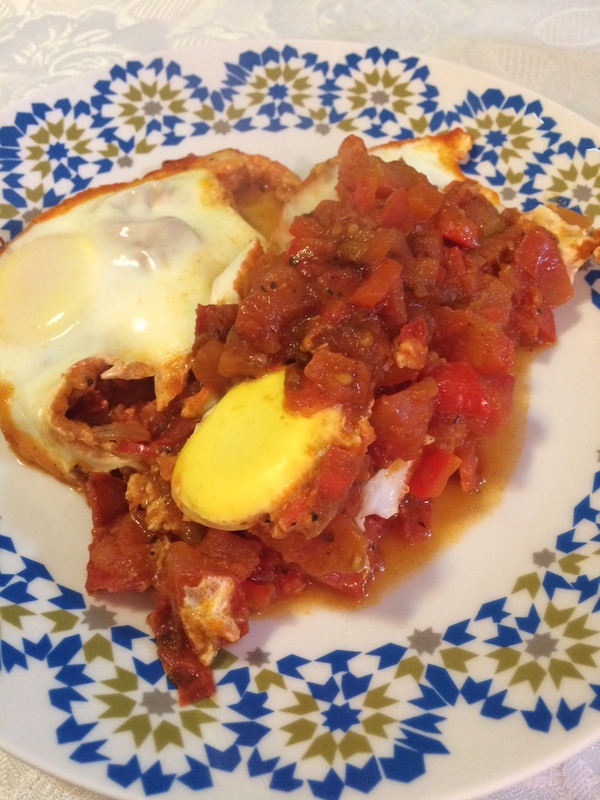 You can split the ingredients into two smaller pans if you want to serve the shakshuka in personal servings. Throw in the onion and saute until golden. Add the red pepper and simmer for 5 minutes. 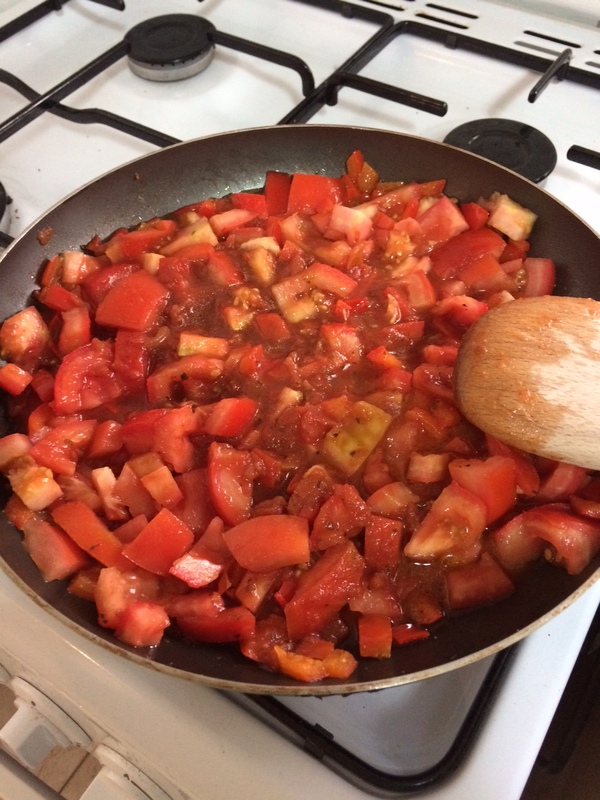 Add the tomato and garlic and stir until its all mixed together. Simmer on medium heat for 10 minutes or until the mixture starts to reduce. Add the spices, salt and pepper to taste. Now the fun part, crack the eggs directly on top of the tomato mixture, making sure they are evenly spaced. Cover and simmer until the eggs are done to your tastes, less time for runny eggs, more time for hard eggs. Serve directly from the pan with a side of fresh white bread to mop up the sauce.